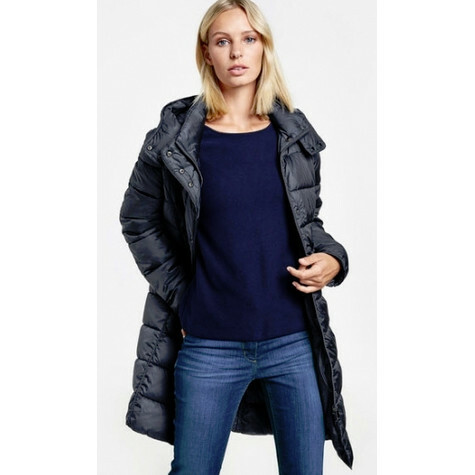 This Gerry Weber longline jacket is the perfect jacket for the bitter cold winter chill. 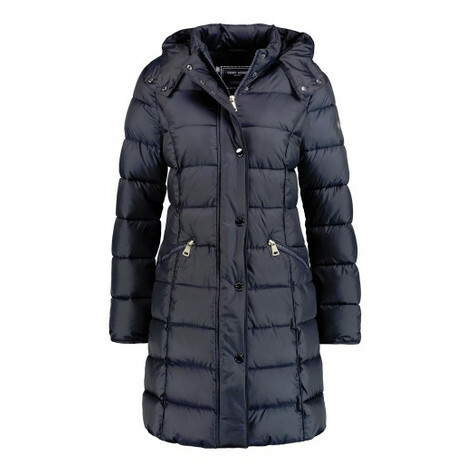 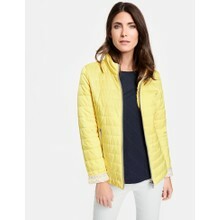 This navy jacket has a hood, zip and button closure and two pockets at the front of the garment. 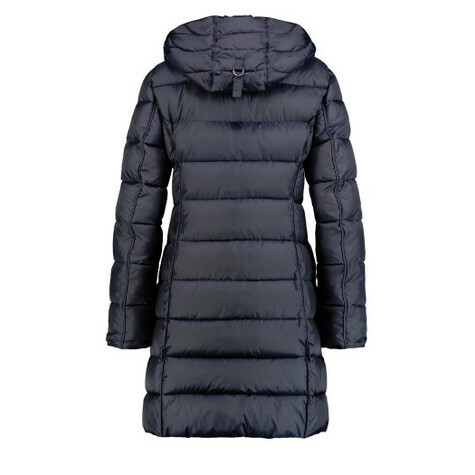 The jacket has horizontal quilted panel detailing. 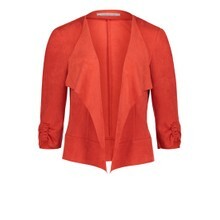 This jacket will ensure even in the worst weather you will remain chic, cosy and comfortable.